Styles may come and go but Excellence is never out of style at Sam Cavato Menswear, a fact attested to by thousands of well dressed men ever since the first customer was served in 1972. Sam Cavato remains a unique institution, locally owned and directed, dubbed by many as the finest men’s store in the Midwest, A-listed by Esquire Magazine. 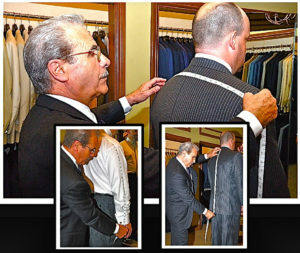 Sam Cavato provides master in house tailoring, custom clothing, and a seemingly endless selection of clothing, sportswear, and furnishings. All designed to make every man look his best. The staff constantly exceeds expectations , the expert staff providing a customer experience considerably above average. See firsthand why Esquire Magazine awards it’s Gold Standard to Sam Cavato and why it’s level of style has prospered for 45 years.